Children and adults can create attractive paper snowflakes from coffee filters and decorate them to make winter or Christmas decorations. Snowflakes created by small children will likely be simple and require paper folding and scissor skills, but older children and adults can use watercolors, glitter, starch and other common goods to give their snowflakes a unique look. For cone-shaped coffee filters, you will need to slit one side of the filter along the seam to lay the filter flat -- the snowflakes will not be round, but they will be unique. Open up round filters so the filter lies flat. Fold the filter in half and then in half again; each time you fold the paper, you can choose a different direction or create pie-shaped wedges. 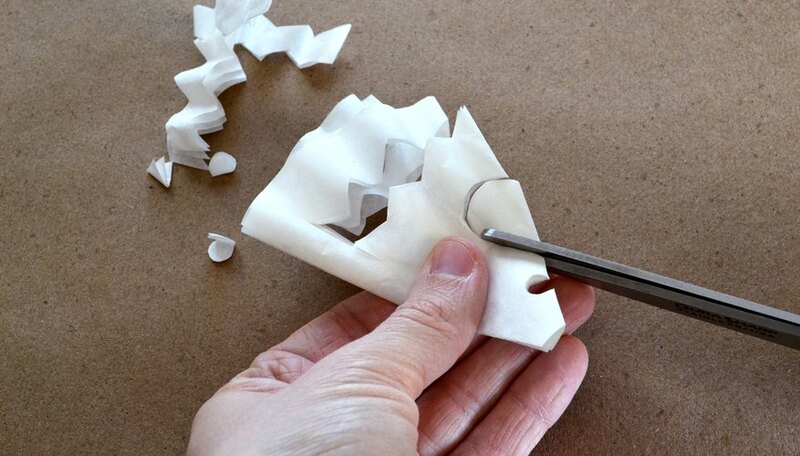 After three to six folds, cut diamonds, arc, squares, hearts or any other cut that removes a section of paper from the filter without intersecting with another cut. Once you have cut the holes into your snowflake, you can add color to make it unique. 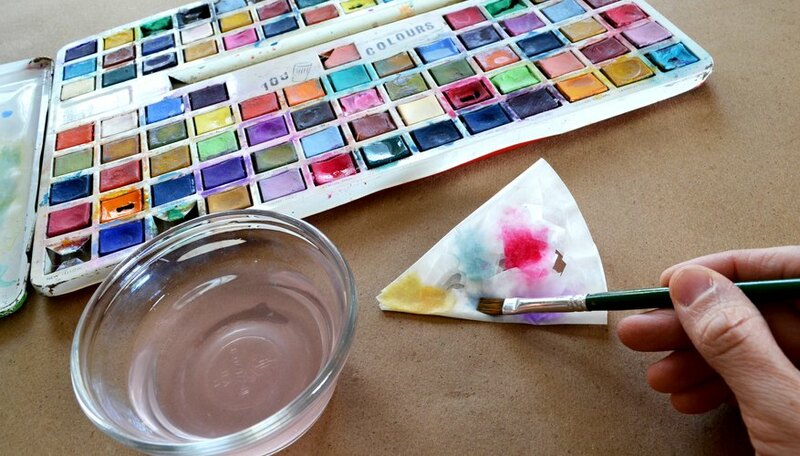 Place a drop of watercolor on the snowflake and watch the color spread across the paper. You can do this when the snowflake is folded, or unfolded. The cuts stop the spread of the color and create unusual patterns. If your snowflake is folded, you will see variation in hues, depending on how deep the layers are. You can also paint the snowflakes with a brush. You can make your snowflake sparkle in a variety ways. 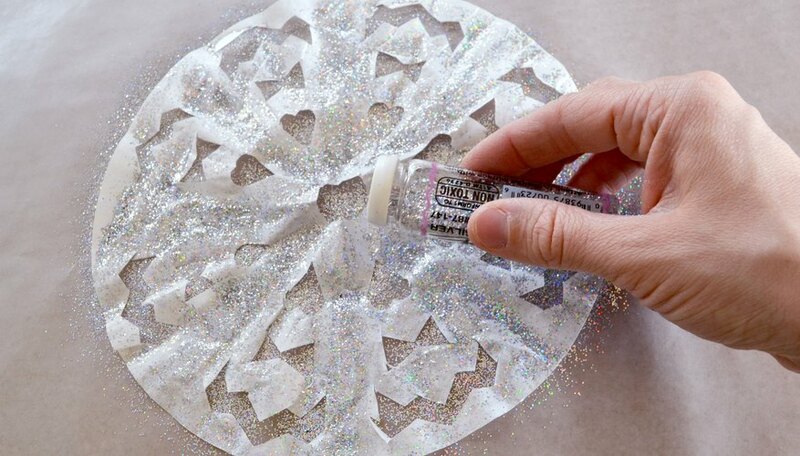 Spray canned snow on the completed snowflake, or spray it with a light coating of adhesive and add glitter. White or iridescent glitter will give your snowflake a more realistic look, but multiple colors will also work. You can also use iridescent glass paint and a paintbrush to spread the sparkle. Spritz the open snowflake with liquid starch and allow it to dry to make it stiff enough to hang from a string with less chance of tearing. Hang the snowflakes on your Christmas tree with the year printed in a discrete corner to make treasured keepsakes. 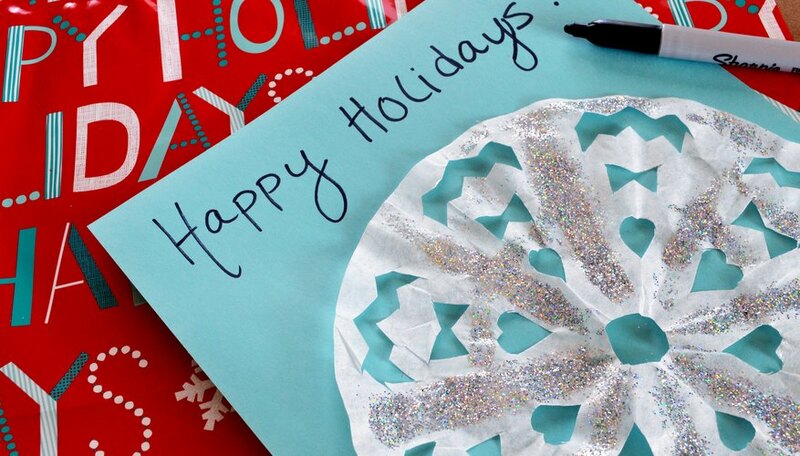 Print a message in and around the open spaces in the snowflake to make a unique card.